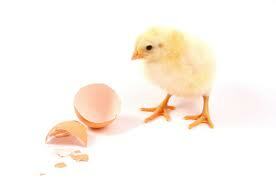 Home Blog Well being Thoughts vs Behaviour: A Chicken and Egg Problem? I've just read Professor Richard Wiseman's article on turning the 'think positive' mantra on its head. The main idea of this (and his new book I believe) is to change your actions first, not your thoughts and feelings – i.e. 'fake it til you make it' as one of the comments on the article puts it. I am a big fan of Wiseman. He's extremely good at turning psychology research into accessible, entertaining, useful information. And, I love the practical nature of his article – 10 simple things you can do to use this knowledge in different situations. I'm left with two key questions. Firstly, will this idea work for everyone? And secondly, can we really discount the power of changing the way you think? On the first point, I've worked with a lot of different people in a lot of different businesses. Some would love the idea that all they need to do is pretend to be more confident using a 'power pose', with confident feelings coming as a result. It is so much easier said than done though. Surely, to 'take the plunge' and act in a way that is not in tune with your natural inclinations, you have to have a certain level of confidence already? I think of coaching clients of mine for example, who can sometimes struggle for any sense of confidence or empowerment. They need to think themselves ready first, and take changes in baby steps. Pretending to be confident would not challenge the negative thoughts they have about themselves, for example. Perhaps the 'act as if' method is more suited to the extroverts of this world. And to the second question, anyone can argue the research on either side until they're blue in the face – there are loads of studies that have shown focusing on changing the way you think OR changing the way you behave will (or won't) have an effect on your ultimate performance. It's only by cherry picking the studies that you'll build an argument for one method or the other. How would the 'act as if' principle explain research showing a link between positive-emotion thinking styles and whether or not people get ill when they're infected with the flu virus? The idea that all the 'positive' people focussed their time on smiling as they were given injections doesn't make sense to me. I personally don't enjoy visualisation, but I have seen it work. It can't be discounted as a method. Wiseman may have found a study showing that it didn't work once, but there are lots that show that it does too (e.g. 'best possible selves', King, 2001). As 'Mr Europe' comments, it's about thinking through the process of success, not just imagining the outcome. I'm not denying the 'act as if' principle has potential; I am instead questioning the suggested one-way relationship in the article. Our thoughts, feelings, behaviours and physiologies are so intricately tied together, how can we say categorically that one carries more causal power than another – I don't think we can. Each person is an individual. Let's use this 'act as if' idea as part of the toolkit of tactics alongside other practical ways to change thoughts and feelings. The combination has got to be more powerful. I like your response to the article by Wiseman and especially the fact aht you are actively working with clients to help them use some of the techniques he suggests. It must be difficult for many people to begin recognizing their thought patterns before they are able to start changing them and recognizing positive results. Sometimes we all need a helping hand and some outside perspective to get us through those stages and practicing new thought behaviors.